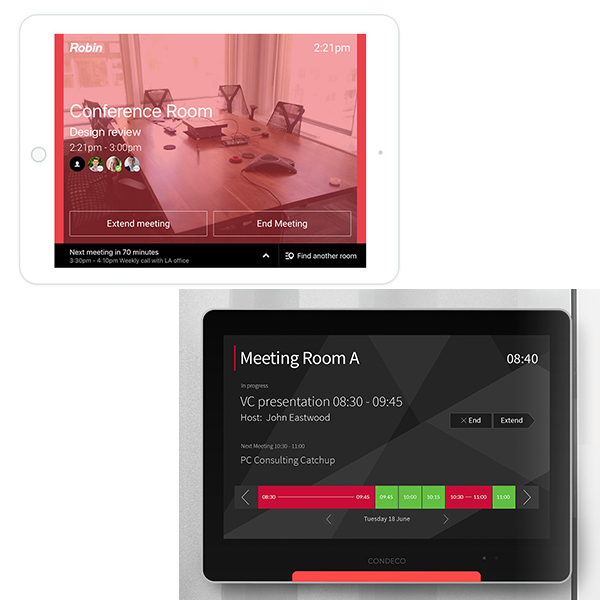 EMS is a software application that allows companies and universities to create and invite people to meetings, and book rooms for those meetings. A company’s office space is valuable and if that space is not being used, that company is losing money. EMS Software's current Room Sign solution (EMS Glance) was in dire need of a refresh. The user experience was cumbersome and the design was older than the tablets they were operating on. Competitors were blowing by EMS with modern, simplistic designs and easy-to-use products. In order to validate the content, layout, and functionality, low-fidelity wireframes were designed, prototyped and presented to the Product Owner. The layout was designed to reflect the "F Pattern". The most important content is in the top-right corner (Room Name), followed by: Current Time, Room Status (Available, Reserved, In Use), and the Room's Agenda. 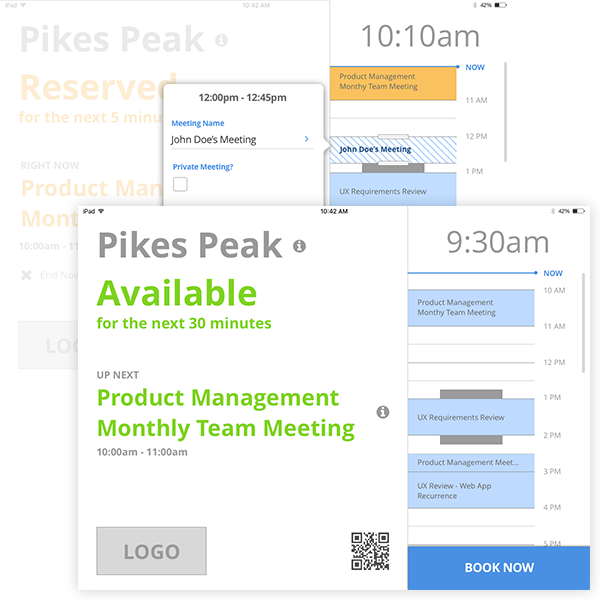 Users can quickly see the room's availability for the day by scanning the agenda. Users can also quickly book a room by tapping on the Book Now button or by simply tapping on the agenda. After the low-fidelity wireframes were completed, the design process moved on to the high-fidelity prototype stage. The final visual design showcased a gradient background for the user to quickly check the current status of the room from a distance. Green for Available, Yellow for Reserved (Meeting Room reserved, but not checked-in), and Red for In-Use. 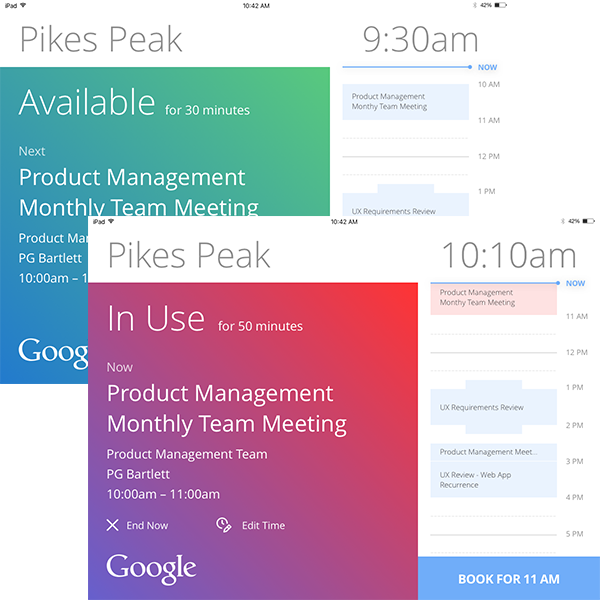 When the room changes status, the gradient flows from one state to the next.